Tambellini Bridgeville is an Italian restaurant located in Bridgeville, PA. 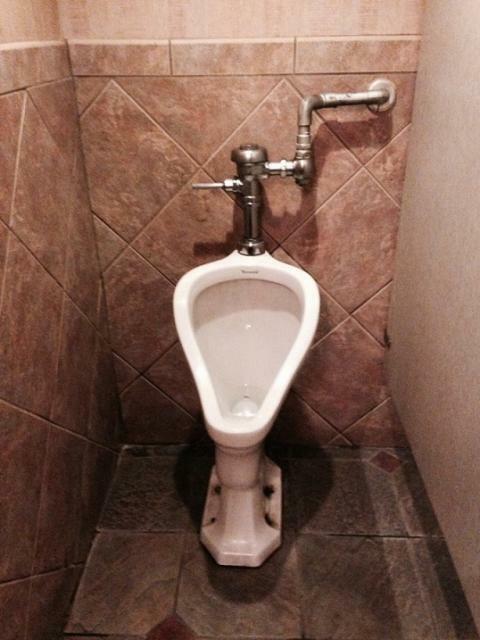 This picture was submitted by JNM. 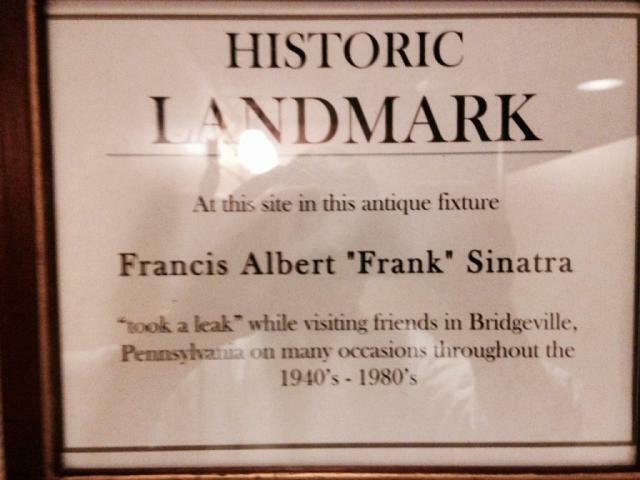 He writes: "The Tambellini Restaurant on Railroad St. in Bridgeville, PA offers excellent Italian cuisine for lunch and dinner, a full bar and the historic urinal pictured here, reputed used by Frank Sinatra (as the sign above states) many times during his visits to this Western Pennsylvania town near Pittsburgh."